Every woman needs some girl time every once in a while, even at my age, so when I was given the chance to try out a girls night in bundle with my friends I of course agreed! 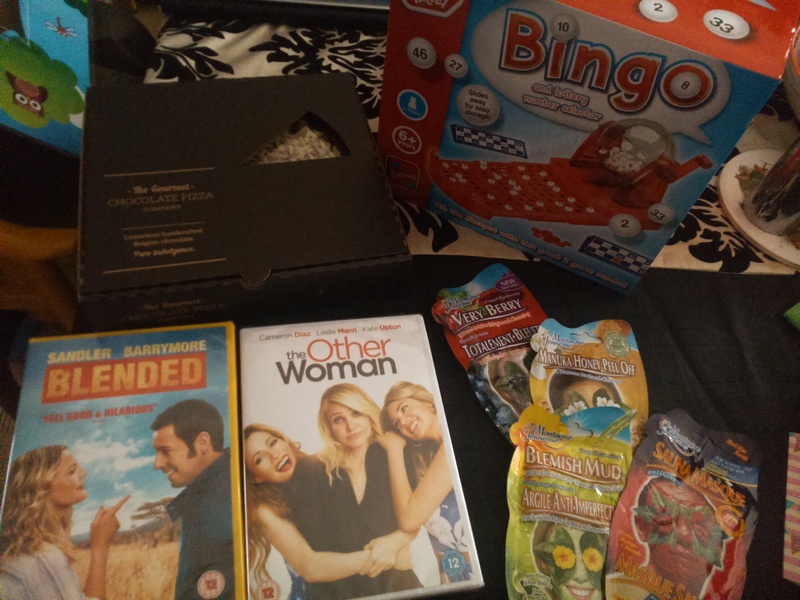 The bundle contained everything I would want and need for a night in, such as two great chick flicks (Blended was about single parents finding love which gave a spinster like me hope!) face masks and of course chocolate. My Girls Night In Bundle! I loved the gourmet chocolate pizza because it’s something I’ve never seen before! Two of my favourite things together: pizza and chocolate, so was bound to be a great success! Within the first few minutes of The Other Woman DVD we had gobbled up the pizza and made a start on some of the wine I had bought with the £15 shopping voucher- you cannot have a night in without some good wine, gossip and food! The prize is everything a woman needs to have the ultimate girly night in, because let’s face it, every woman needs some quality giggle time with her friends. Brand new copies of Blended and the Other Woman on DVD from Cash Generator, the UK high street retailer of new and pre-owned DVDs. A 7” gourmet chocolate pizza from Qwerkity, the place to go for all of your unusual gift needs. A bingo board game, 4 x face masks and a £15 supermarket voucher for a shop of your choice (so you can buy a bottle and some snacks) from Paddy Power. 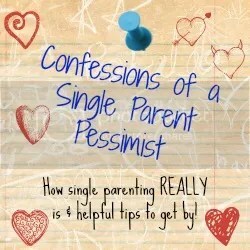 To be in with a chance to win this fab bundle just go to my competition page on Single Parent Pessimist and fill in the Rafflecopter form! I was given one bundle for the purpose of this review. No payment was given and all opinions are honest and my own.